Keeping your home in tip-top condition doesn't have to mean taking on big, expensive projects. 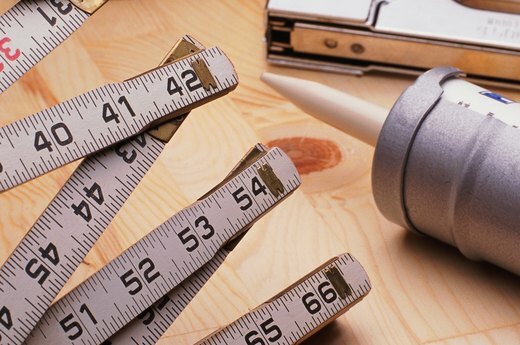 Here are 15 repairs that can be accomplished for less than $15. Despite relatively small investments of time and money, each of these repairs helps make your home more comfortable, attractive and cost efficient. 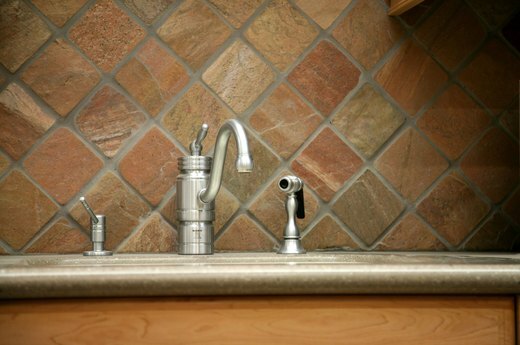 Mineral deposits in the aerator can rob a sink sprayer of its power. Unscrew the aerator from the sprayer and scrub it out with a toothbrush, then soak it in vinegar overnight. If that doesn't solve the problem, turn off the water to the fixture and remove the faucet handle and spout. Inside the faucet body, you'll find a small, round diverter valve. Scrub that valve with a toothbrush, coat new O-rings and washers with heat-proof grease, and reassemble the faucet. 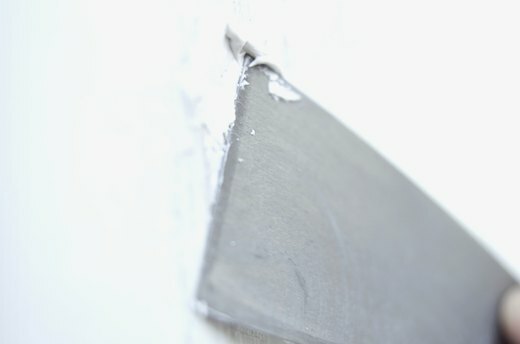 You can fix small holes and minor drywall damage in less than an hour. Scrape the area smooth, using a putty knife. Use the putty knife to fill small holes with ultra-light spackle. Sand when dry. Cover larger holes with nylon drywall tape, then use a broadknife to smooth a coat of joint compound over the area. When the compound is dry, add a second coat, feathering out the edges. Allow to dry. Sand, prime, and paint the repair. When cleaning the mechanism isn't enough to keep a doorknob from sticking, it's time to replace the knob. Remove the screws holding the cover plates to the door, then pull the doorknob apart. Outside the door, insert the stem of the new doorknob into the latch case -- the mechanism inside the hole in the door. Inside the door, fit the interior knob over the spindle and align the stems with the screw holes. Install a screw into the hole closest to the door edge. Install the other screw, and test the doorknob. If the latch sticks, loosen both screws slightly. This cost-effective fix is super simple, thanks to peel-and-stick weatherstripping. Remove old weatherstrip and thoroughly clean all surfaces. Cut self-adhesive foam or rubber compression strips to fit the outside edges of the window stops. Peel off the backing paper and press the weatherstripping into place. 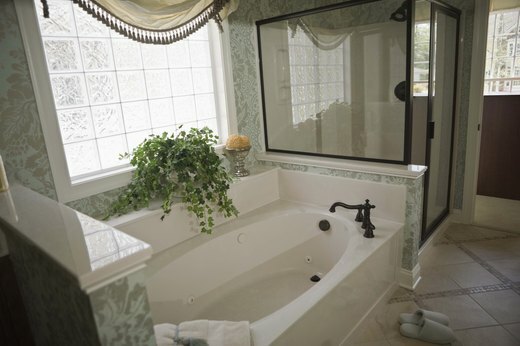 Caulk seals the joint between the bathtub and the wall, which keeps moisture out of the walls. To replace failed caulk, tape the edges of the joint with painter's tape, and use a utility knife scrape out the old caulk. Thoroughly clean the joint, using a solution of hot water and bleach, then dry the area with a clean rag. Fill the tub with water to open the joint to its maximum capacity. Squeeze a thin bead of caulk into the joint, then use your index finger to smooth it out. Remove the tape. Mineral deposits can reduce a shower's water pressure and even change its spray pattern. When this happens, an inexpensive jug of white vinegar holds the answer. Remove the showerhead, and use the end of a paper clip to scrape deposits out of the inlet holes. 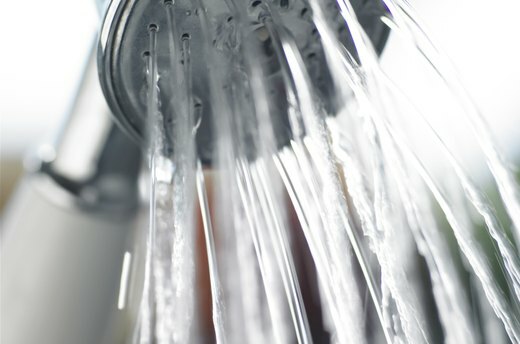 Soak the showerhead in vinegar overnight, then replace it. The pressure should be back. 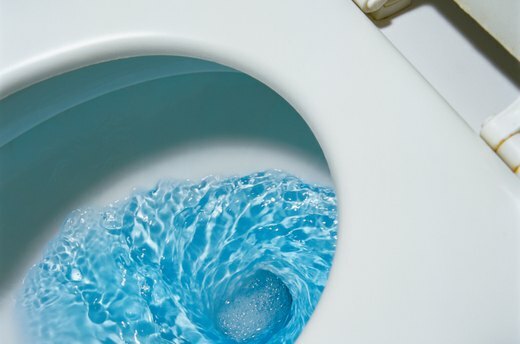 When a toilet runs after the flush is complete, adjusting the lift chain or float arm usually solves the problem. The lift chain should hang straight down from the handle with about half an inch of slack. Move the chain to provide more or less slack, as required. Or, if the toilet has lift wires, straighten them. If that doesn't do the trick, try bending the float arm until the float ball does not touch the tank wall. To install a GFCI for single-location protection (does not protect other devices on the same circuit), shut down the power at the service panel and test with a non-contact circuit tester to confirm that the power is off. Remove the white neutral wires on the old receptacle, and pigtail them to the white line terminal on the GFCI. Remove the black hot wires from the old receptacle, and pigtail them to the hot line terminal. Disconnect the grounding wires from the old receptacle and pigtail them to the grounding screw terminal on the GFCI. Mount the GFCI and attach the cover. Turn on the power and test the GFCI. If the bulb is good and the circuit is operating but the lamp won't light, the connections may be loose. 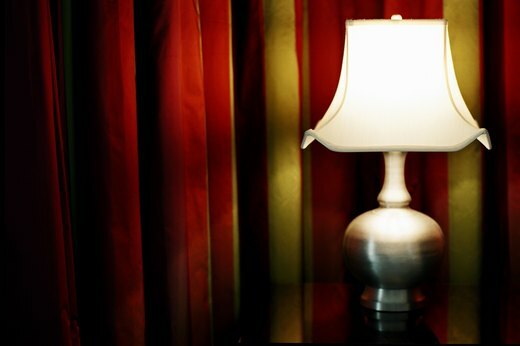 Unplug the lamp and remove the light bulb. Use a screwdriver to pry up the metal tab at the bottom of the lamp socket. If that doesn't solve the problem, pop the socket open. Loosen the screw terminals and reshape the C-shaped loops. Secure the loops around the screw terminals and tighten the screws. Pop the socket back into place, insert a lightbulb and test the lamp. Downspouts tend to be quite durable, but joints can work loose and leak. Tightening and sealing the joint is a quick and lasting solution. Take the leaky joint apart and use a stiff-bristled brush to scrub it clean. Wash the mating pieces and dry them thoroughly. Apply a bead of caulk at the seam line, position the pieces, and secure the joint with new fasteners. 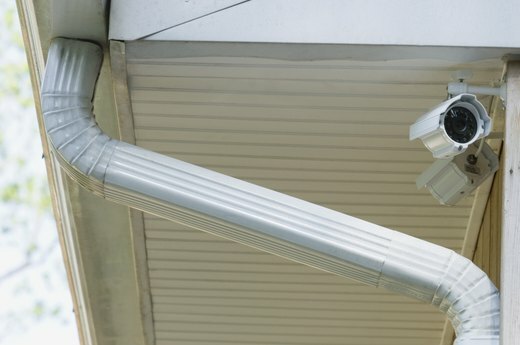 See: How Can I Stop a Downspout From Leaking? Gaps around windows and doors leak air, which means higher utility bills. 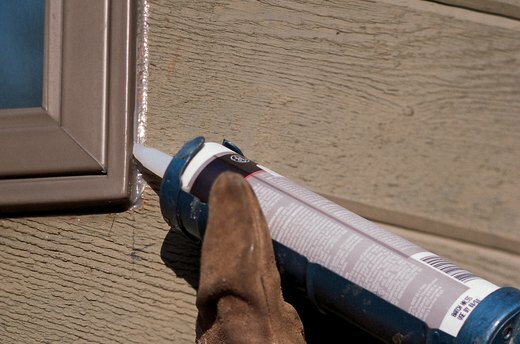 Seal those gaps with silicone caulk. First, scrape out any failed caulk and clean the joint. Cut off the nozzle on a tube of caulk, angling the nozzle. Insert the tube into a caulk gun, and squeeze a smooth, even bead of caulk into the joint between the window frame and the siding. 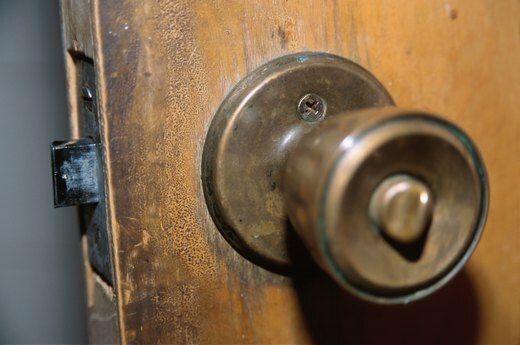 Thieves can kick in the average door in moments, but sturdy hardware makes a door stronger and more secure. Fill the gap between the door frame and surrounding wall studs with plywood shims, and replace short hinge screws with 3- to 4-inch screws. Install metal plates to reinforce deadbolt locks and strike plates. 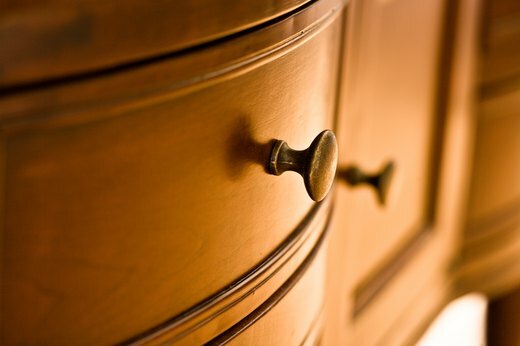 Loose drawer pulls are a minor aggravation you don't need to tolerate -- the fix is quick and easy. First, tighten the screw from inside the drawer. If the hole has enlarged, you won't be able to tighten the screw enough to keep the drawer pull from wobbling. Mix water and gypsum-based filler and pack it into the hole. When the filler is dry, sand it flush with the surface, drill a pilot hole, and install the drawer pull in the new hole. A pop-up stopper raises and lowers the stopper to open and close the drain. If a stopper won't pop up or won't hold water, adjusting the pivot rod should help. Under the sink, a V-shaped clip connects a rod to a metal strap. Pinch the clip and remove it. Slide the rod to a different hole on the strap, and replace the clip. Test the drain, and adjust again, if necessary. 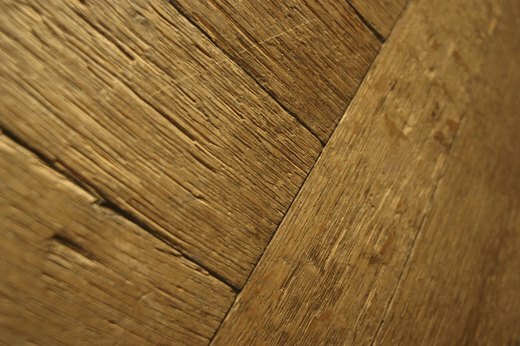 Although hardwood is quite durable, small scratches and dents are fairly common. Using a putty knife, press tinted latex wood filler into the open space. Use the knife to scrape the filler until it's level with the surface, then let the filler dry. Sand lightly, following the grain of the wood. Apply two coats of finish. The repair should be barely noticeable.